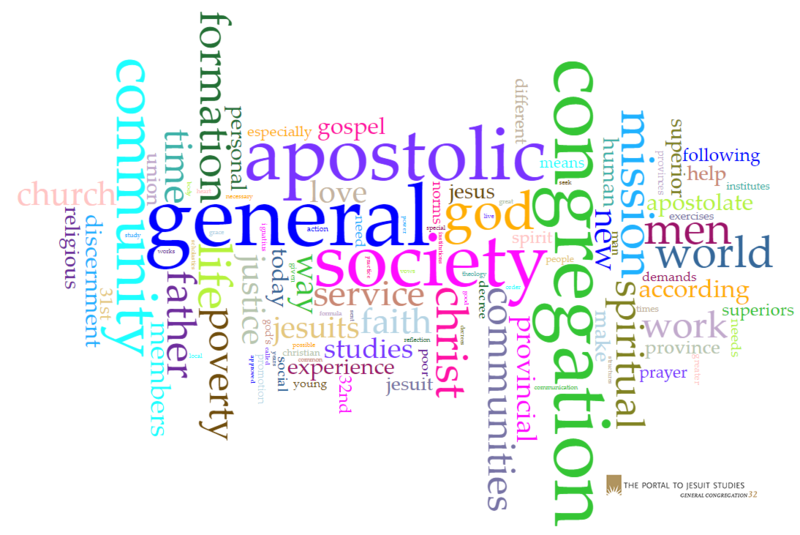 One September 8, 1973, after much deliberation and preparation, Superior General Pedro Arrupe issued a letter that announced the 32nd General Congregation of the Society of Jesus would begin in December 1974. The appointed delegates gathered in Rome not to elect Arrupe’s successor but rather to because of what historian John Padberg has described as “the problems of contemporary change,” especially in the aftermath of the Second Vatican Council. The congregation began on December 2, 1974, and it continued for 96 days, formally closing on March 7, 1975. The 236 delegates in attendance were the most for a general congregation in Jesuit history. The delegates of the 32nd General Congregation issued 16 decrees—the fewest promulgated by a congregation since the order’s restoration in 1814 (though it would be a record yielded to the delegates at the 33rd General Congregation). 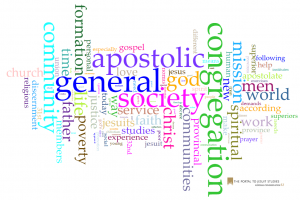 The decrees of the 32nd congregation largely fall into five categories: an introductory decree, the Society’s response to challenges of our age, developing the Society’s apostolic body, witness to the Gospel in today’s circumstances, and congregations and government. The wordcloud below represents the most used words in the 56 decrees, with a larger size denoting greater frequency. All the decrees are available the interactive chart below. Search the titles or categories or filter the display based on the same categories. Also available below are a speech Arrupe delivered to the delegates and various communications between the Jesuit delegates and the Holy See. The full contents of all these documents, as well as the other Essential Documents, are searchable available through the Portal. They can each be browsed and downloaded individually. For more on the 32nd General Congregation of the Society of Jesus—especially on the important historical context for the gathering—please consult Jesuit Life & Mission Today: The Decrees & Accompanying Documents of the 31st–35th General Congregations of the Society of Jesus, ed. John W. Padberg (St. Louis, Mo. : Institute of Jesuit Sources, 2009).